The Folklorist is once again competing for the People’s Telly Award and we need your support! Click here to cast your vote by selecting the “Five Stars” icon below the video player. Then register your information as a new user, or login with Facebook. The final step is to select the “Five Stars” icon again to cast your vote. Judging ends on April 15th. 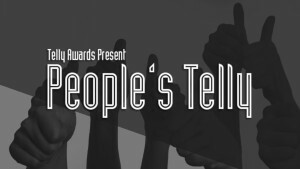 Please rate highly and share with your friends to help The Folklorist become this year’s People’s Telly Award winner!